She’s a well-known lady, our Kimberley, and quite the show pony. We all revel in her reputation as one of our very best features as she struts her stuff up there in the tropical north-west, earning the enthralled applause of visitors worldwide. Lying in her supreme shadow, however, 2000 odd K’s south-west, is a region equally as deserving of our time and tourism dollars. Certainly the lower key and less glamorous cousin of the charismatic Kimberley, our Pilbara region in far west Western Australia is home to some of Australia’s most unique and unspoilt destinations. As pilots, you may dismiss the excuse of ‘way too far’, embrace the route that will take you there and be honestly surprised at the show that’s in store. On an early winter safari this year of 45 hours flying over 17 days, Australian Flying spent the best part of six days in this remarkable region. This was the third time we had joined Stawell Aviation, our tour operator from central-west Victoria, on one of their brilliant cross-country itineraries, and thus had the advantage of their 23 years of experience in bedding down at tried and tested locations for our overnight stops. In planning a trip to the Pilbara you can obviously come at it from any direction, but today we will give you some ideas heading west from Ayers Rock, where you’ve just spent an unforgettable day in the company of that other big show pony, Uluru. Get ready to leave behind civilisation as you know it. After today you can kiss goodbye to gourmet menus and polished wine lists, swanky souvenir shops and anything resembling good coffee. But rest assured she’s worth it. Full of contrasts, the Pilbara’s rich black earth laden with a bounty of iron ore gives way to the beautiful Hamersley Ranges and pristine national parks like Karijini, eventually bordered on the west by the scenic paradise that is the region’s tropical coastline, stretching from Port Hedland to Coral Bay, the gateway to the stunning Ningaloo Reef. If you do nothing else in this lifetime, go swimming at Ningaloo with the Whale Sharks. It’s a decent chunk of area we’re crossing here, so we’ll limit the information to three specific destinations: Karijini National Park, Coral Bay and Ningaloo Reef, and Mt Augustus. Our track from Ayers Rock takes us west to overnight at the Warrakurna Roadhouse cabins at Giles Meteorological Station (WAC 3344 Petermann Ranges). In a nutshell, the station is in the middle of nowhere, cheap as chips, and offers hilariously basic catering and accommodation, a decent airstrip and a very interesting tour of the met station. I’ll also add here that Warrakurna is Dry with a capital D - and I’m not talking about the weather. So don’t get excited about cocktail hour after your parching walk from the strip. 110nm west and smack bang in the middle of the inhospitable and dramatic Gibson Desert, we stop at Patjarr to refuel, as our next leg to Newman is 366nm and our longest. The tiny Patjarr Aboriginal Community is 230km north of Warburton and is home to some of WA’s most talented aboriginal artists. The multi-hatted refueller (we paid $2.30/litre) doubles as the store manager and will organise some lunch if arranged prior. Strip details for Patjarr are in the AOPA Directory. Lake Disappointment keeps you company for many of the long miles across the Little Sandy Desert. As you sip on your water and munch on any inflight catering on offer you’ll soar over the historic Canning Stock Route and thank the Lord you’re up here and not down there coaxing cattle across thousands of hot and dusty miles. Time better spent is coaxing an inflight story .out of tour leader Graeme Boatman as you fly along; he’ll keep you all entertained for the next hundred miles. There are times in life where actual facts are highly overrated, and mid-way through one of Graeme’s famous stories is a prime example. An overnight stay in Newman is easy and the mine tour worthwhile. We did the BHP Billiton Mt Whaleback tour (www.newman-wa.org). What a classic this place is – the fashion choices throughout the entire town are green reflective vests or orange, and anything with wheels is around three stories high. Here comes a trip highlight. Leaving the deserts behind, we spend our next night and full day at the beautiful Karijini National Park, which I highly recommend (strip details in AOPA). On arrival, the circuit is memorable; Stawell’s Val Kennedy had forewarned us about the hills to the north and south of the strip and had suggested a right-hand circuit if using Runway 10. Good advice. The Eco Retreat is a wonderful place to stay overnight; their luxury eco tents with private outdoor ensuites are superb and the sheltered deck off the main restaurant and bar offers a lively and comfortable venue to watch the sun go down and swap a few more lies about the number of camel herds you all spotted that day. Fiona Gordon is the manager out here (admin@karijiniecoretreat.com.au) and she will organise airstrip transfers and give you some tour options. It’s worth taking a tour - you are firmly in red rock country here and the colours alone will take your breath away. A few of us took off walking on the first afternoon along the dirt track for a quick swim down in the nearby gorge, only to find halfway down that we were committed to a descent requiring veteran mountain goat skills we didn’t have. Funny, scary, out of your comfort zone stuff that all of us survived and were rewarded for at the bottom. We joined Lestok Tours (www.lestoktours.com.au) next morning who did a great job of filling our day with knockout views over the most spectacular gorges and tranquil pools imaginable, giving us a detailed commentary all the way, even lining up a ‘wild’ dingo to pose for our cameras as we lunched at the park. Coral Bay and Ningaloo Reef are displays of such pristine and unspoilt Australian coastline that we couldn’t wait to get there. A short flight over the Hamersley Ranges from Karijini tipped us out at the coast and the laid-back little town of Onslow, just north of Exmouth, where we overnighted at the beachfront Onslow Mackerel Motel (email motel@mackerelislands.com.au). They’ll organise breakfast and transfers and point you in the direction of the pub for dinner, a five minute walk. All easy. The next day’s flying is postcard stuff as you stay low and follow the beach down past Learmonth (where we refuelled) and on to land at the beautiful Coral Bay. And yes, it is a coral airstrip, an 1100m slash of pure white well-graded runway you can spot for miles. It’s worth hanging up your headset for a couple of days to do this place justice. A huge trip highlight, for the eight of us that did it, was our day trip swimming with the Whalesharks. And no, they don’t eat you; I asked the man before we booked. They are filter feeders and just not interested. This is a good thing, as although we are under the close supervision of trained guides, we are allowed to guide our snorkels to within four metres of this juvenile male – a bit like swimming alongside a graceful, spotty bus. Sharing the water with these gentle giants is something I will never forget. The town of Coral Bay takes you back to seaside holidays of the 60s. Its old fashioned beachfront cabins and caravan park, bare-footed tourists and spotless beach all make for a totally relaxing and unpretentious stay. We bedded down at the Ningaloo Reef Resort – offering all the usual pilot friendly services you would want, including internet access for weather. Give yourself two full days here so you can go deep sea fishing, ride a quad bike, hand feed the big snapper that circle your feet over at the beach, wander along and watch the fishermen fillet the day’s haul, go snorkeling on the coral reef and swim with those huge critters of the sea, or just flake out by the pool. Incidentally, on the internet thing, I note increasingly that pilots are not leaving this to chance, and are taking along their own laptop and USB stick for instant wireless broadband connection wherever. Very handy for having a look at airspace status and weather trends if you get stuck at some dusty outback airstrip that you can just tell is not going to be awash with offerings from Google. Final suggestion from this part of the world is an overnighter at the Mt Augustus Outback Resort. ‘Resort’ may be a bit of a stretch, but you will find a cold beer, warm bed, a great home-cooked dinner, another cold beer and a hot shower, albeit in with the local team of frogs. Your hosts, Candy and Fin, will make you feel welcome and are open to all sorts of bribes like a big chiller bag of our freshly-caught Red Emperor from the day before, in return for their 4WD which we borrowed for a fascinating tour around their property, a swim in the billabong and a stop at the big rock before sunset. Mt Augustus is over 1000 million years old and is two and a half times bigger than Uluru, making it the world’s largest monolith. Talk about a quiet achiever. You will be joined at the bar this evening by station hands or fellow travellers who’ve come by road (go figure), with all sorts of unlikely tales to tell, but perhaps tonight’s the night to take time out after dinner to wander outside and just look skywards. The nightly show the stars put on out here is one of the more memorable rewards of coming so far, for it is only out of range of the big city lights that the best view is on offer. Led by Sirius, the brightest star in the night sky, you can easily pick out the famous Southern Cross, the Iron Pot, the three bright stars of Orion’s Belt and, in April and September, the sweeping soft glow of the Milky Way. Stawell Aviation’s itinerary brings us home across the Nullarbor and along those dramatic cliffs of the Great Australian Bight, all flown in very achievable legs. Should you be unfamiliar with flying safaris, here’s a quick guide (and I’m still looking for a company that does it better than Stawell, and as affordably). Everyone in the fleet (usually around five to seven aircraft) follows exactly the same flight plan (which they provide the figures for) so you’re never lonely at any of the overnight stops! They also nominate the fuel stops to accommodate the thirstiest of the fleet, book all the accommodation and many of the ground tours. All crews in the fleet are in constant communication with each other via a dedicated company frequency and, in my mind, the confidence this facility instils in otherwise nervous pilots is invaluable. So there’s a handful of suggestions which may get your safari juices stirring. Kick it around over a few reds with your pilot mates and you’ll have it justified in no time. Let’s face it, you’re not going to lure the princess into the Commodore any time soon and hit the Gunbarrel Highway, so you may as well get those WACs out. The Pilbara region may conjure up images of a searingly hot, remote, and desolate region, blasted onto the Australian map by iron ore. It is indeed all of those things, but it’s also a whole lot more. To visit the Pilbara is to get to know outback Australia from a different perspective. 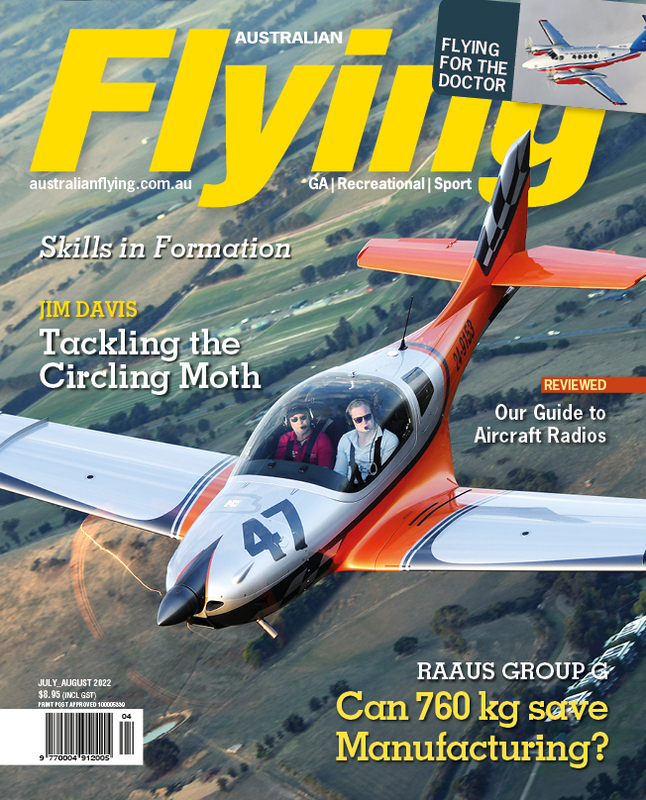 Australian Flying is staffed by an experienced and dedicated team of writers and pilots who share a common goal: to inform, advise and entertain those at the sharp end of aviation. 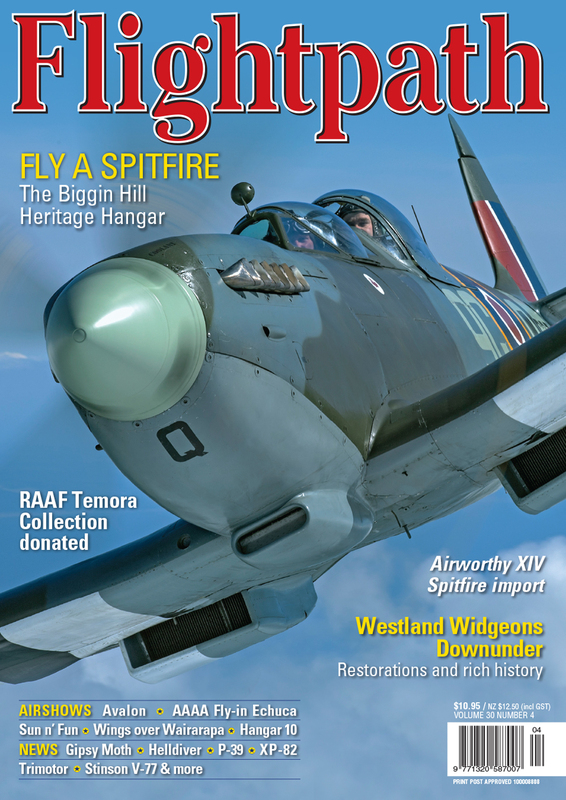 Flightpath covers all the developments in the recovery and restoration of antique and vintage aircraft. 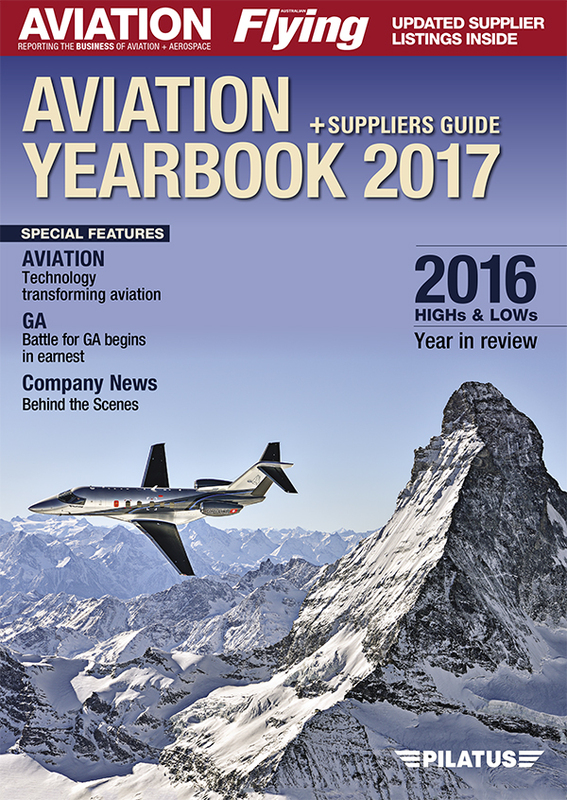 The definitive guide to the year's aviation industry activity, featuring the year in review, an industry suppliers guide and organisational directory.